Breath of the Wild: The Switch Performs Better In Portable Mode | Nerd Much? Digital Foundry has tested The Legend of Zelda: Breath of the Wild between portable and docked modes, only to find that docked actually comes up short. Firstly, it’s almost graphically the same save for some upscaling in pixels. Secondly, the frame rate drops dramatically and sporadically when the game is docked. The lack of graphical difference between the docked and portable is certainly disappointing, as DF points out, I would have expected the jump to 1080p would be far more spectacular. It’s always unfair to compare a Nintendo console to what other consoles can achieve graphically, but I had hope this time around for the docked version. 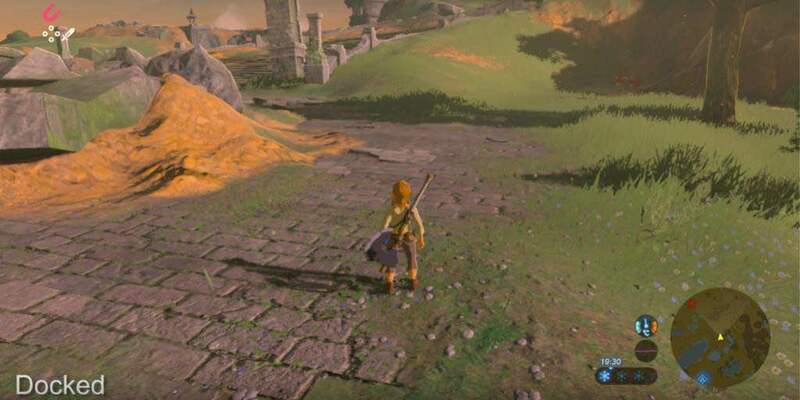 But there’s nothing for it after when something like Horizon Zero Dawn can show you just what Hyrule’s rolling hills could look like in real life. Nonetheless, Nintendo has emphasize that the Switch is for both portable and docked, one should not have more advantages than the other. Except for the rather significant frame drops. I’m one of those people that can’t really see it when 60fps drops to 30fps, but I could tell when 30fps dropped to 20fps. The frame stutter was almost painful to watch, especially during combat. It seems like that would really affect gameplay for those players that strive for precision. Do these problems matter to you? Will you still be playing or purchasing the Switch? Let us know in the comments below!